Right... what was I going to write, honestly can't think, too busy starting at these beauts of a handbag. Which one do I need more, the black cause its classic, the burgundy cause its classic Viv shaped, or the red one cause its completely different? 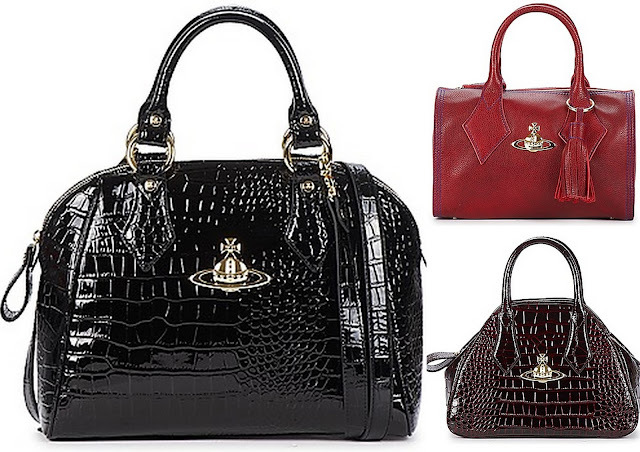 Vivienne Westwood why do you have to do this to me. You may have seen some news on my Instagram feed on Monday night, however I'll save that for another post, so I'm thinking from now on I'm going to have to be admiring my all time weakness - luxury handbags (that's if you're excluding fit men) from afar. I do know that I need the Red Dolce Vita in my life, however as my birthday is literally just after Christmas can you see where I'm going with it.... Honestly these bags are keep distracting me, so I'll shut up and you can just admire the bags.